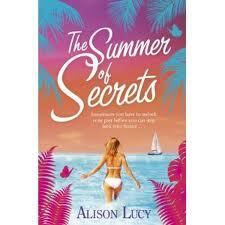 Any of you who follow this blog will know I had a fabulous holiday in January to Mexico and I have missed being in that fabulous country so much and so when I read the synopsis of The Summer of Secrets I couldn't wait to start reading it. The book starts in Mexico in 1989 with Danny and Harriet who are newly weds on their honeymoon. Things soon take a turn for the worst for Danny when his wife leaves and returns home before the end of their holiday. Broken hearted Danny finds himself in the arms of not one but two women to help nurse his broken heart. I know reading that part will automatically get your back up and give a negative perception of Danny, but I loved his character although he seemed like a very troubled character this gave him a kind of vulnerably which only made me warm to his character more. The storyline soon moves to the present day when we meet Megan, Esme and Claudia who couldn't be any further apart when it comes to their appearances and their personalities but they later find out that they are all looking for the same thing. This would have been the perfect book to take away with me and it will definitely be one for you all to read to get you in the Summer mood if our weather starts to improve. The descriptive writing the author uses describes Cancun to perfection. I loved the way each chapter changed between each of the three girls because they are so different it made each chapter fresh as we got to know each of the girls. I loved that the author kept us guessing right until the end as to how the story was going to end. I found it very hard to put down it was a great début novel for Alison Lucy and I will be looking out for more work to come by this author. If you like authors such as Belinda Jones and Victoria Hislop then Alison Author will be a name you will add to your list. This book is due to release tomorrow so pre-order your copy today. I really enjoyed The Summer of Secrets too. There is a free short story on amazon about what happened before The Summer of Secrets so I'm looking forward to reading that too.